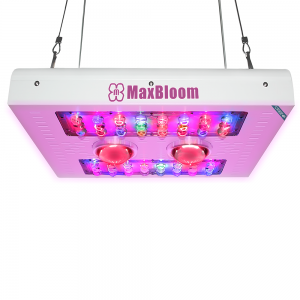 The MaxBloom is a dimmable grow lamp designed for indoor commercial growers or home growers. 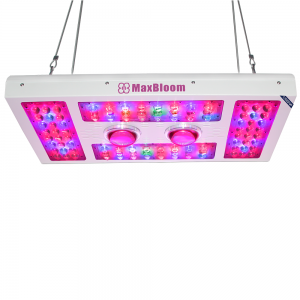 Fully consider the needs of different growers, power levels are available from 200 to 800 watts. 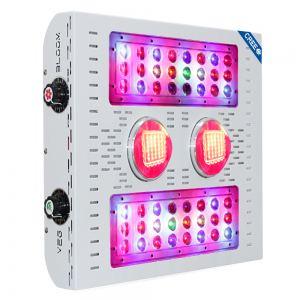 We use high quality Bridgelux&Epistar LEDs and CREE chips, perfect mix of COB & 5 Watt LEDs. 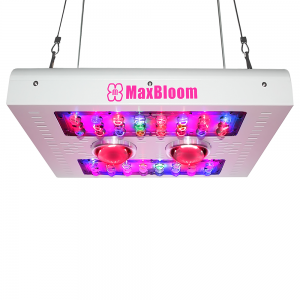 Glass convex lenses and TIR lenses ensure that the light is directed toward your plants and increase light intensity, boasts an extra large footprint. 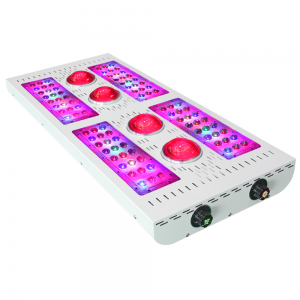 High lumen LEDs (15-30% brighter than others) & high effective working rate LED driver (98%). 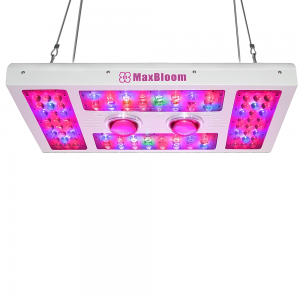 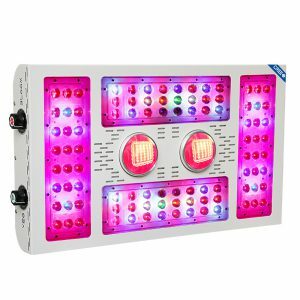 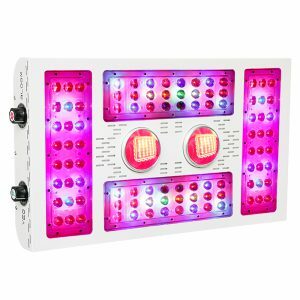 MaxBloom develop the truer 12-band full spectrum LED grow light dimmable including UV 380nm&420nm/IR 720-760nm LEDs , ensure your grow effect, 20%-30% more harvest than other brand led grow lights. 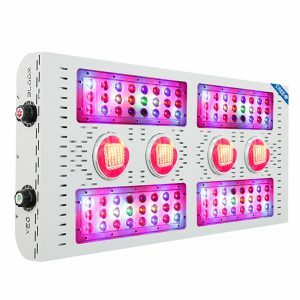 Featuring the highest PAR and Lumen per watt, produce higher PPF and PPFD output, ideal for all stages of indoor plants growth, seedling, vegetation, flowering and fruiting. 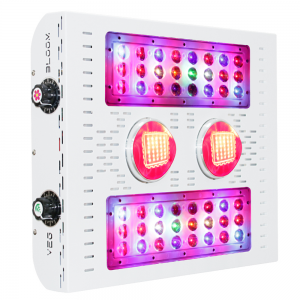 VEG and BLOOM two dimmers provide precise spectral control, can be dimmed and intensified individually to give your plants their ideal spectral ratios from seed straight through to harvest. 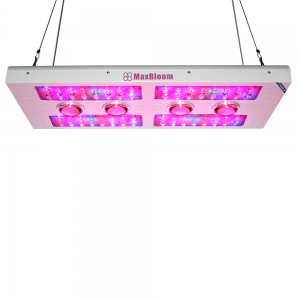 Lowering heat running reduce your operating costs efficiently, avoiding plants burning from high-density light and seedlings.